I randomly opened The Woman’s Handbook…, for this week’s challenge. Fortunately, I’ve been focused lately and what a difference that makes—not as fun, but much more fulfilling. I will stay focused on my list, but I am a little nervous… What will happen when this list is complete? What will I focus on next? Christy from Touchable Love found a wonderful way to organize her apartment and her life. While trying to find a way out of deep sadness, she discovered that organizing her home was key to a better life. Daily Challenges Will Be Back Next Week. Yay! If You Can Take a #Break from Something You #Love, Do it! Today’s Challenge: If you can take a break from something you love, do it! If you have any pointers on how you improved your relationship with social media, I’d love love love to hear about it. Today’s Challenge: Bring back memories with a childhood toy. I was at Wal-Mart yesterday and ended up in the toy department searching for the Rubik’s Cube. I’m not sure why… I didn’t know if the Rubik’s Cube was still around or easily available. I assumed I’d have to order it online, but to my surprise, there it was, updated and hanging on a hook at Wal-Mart. I decided to buy it. This toy brought up so many memories and I’ve discovered the Rubik’s Cube is a great conversation piece. What are your memories of the Rubik’s Cube? Were you able to solve the cube? What is your favorite childhood game or toy? Is it still available? Or do you have it hidden in the attic or garage? 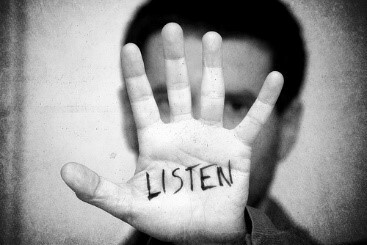 Today’s Challenge: Listen to people you trust. Frustrated, I took a break. When I reread the book, I discovered she was right. Now I’m back to rewriting.